In case you missed it, the left is now hailing Taylor Swift as the new voice of civic responsibility. Yes, the same Taylor Swift who has been relentlessly berated by the left for not being political enough over the past decade. 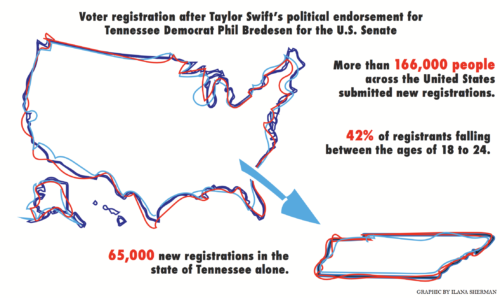 When Swift endorsed Tennessee Democrat Phil Bredesen for the U.S. Senate on Instagram last Sunday, it appeared to be the end of her political silence. She cited Congresswoman Marsha Blackburn’s “appalling” and “terrifying” voting record, claiming her decision was about fighting for LGBTQ+ rights and dignity for all Americans. But here’s the thing: Taylor Swift, by simply being Taylor Swift, has always been political. Liberals have demanded Swift condemn pretty much everything, constantly foaming at the mouth in hopes she would speak out against things that have absolutely nothing to do with her, including outlandish allegations of ties to the KKK. The hysteria was exacerbated when Swift opted out of the Hollywood norm by posting a picture at the voting booth in 2016, without telling her followers they must vote for Hillary Clinton. She received heat again for reflecting on 2017 by writing on Instagram, “I couldn’t have asked for a better year,” a benign comment that triggered the left to accuse her of being oblivious to white privilege, because of course, how could anyone possibly have a good year in the horror of Trump’s America? However, with her latest post, Swift pulled off the seemingly impossible. She managed to voice a political opinion without condescending, insulting or shaming others for their beliefs and values. Yet of course, this was still a problem. 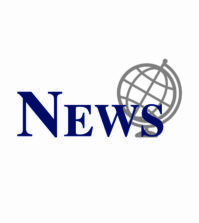 Despite the commander-in-chief’s musical preferences, more than 166,000 people across the United States submitted new registrations between Sunday and noon on Tuesday, with about 42 percent of registrants falling between the ages of 18 to 24, according to Vote.org. After just 24 hours of her post, there were 65,000 new registrations in the state of Tennessee alone. Regardless of your opinions on Swift, her impact cannot be overlooked or underestimated. To those on the right who are offended by Swift’s statement, ask yourself this: is civic participation really a message we can’t get behind? Digging deeper into Swift’s endorsement, many people don’t realize Phil Bredesen has been a vocal supporter of Brett Kavanaugh’s Supreme Court confirmation, which mainstream media has conveniently failed to highlight. As a survivor of sexual assault herself, Swift is not someone who quietly falls in line with the mob. Swift was honored last December as one of Time Magazine’s People of the Year after she won her case against a radio DJ she accused of groping her. Swift sued him for only a dollar, a symbolic gesture to demonstrate that it is not about money, but about how we treat women as a society. In return, David Mueller, the man found guilty of assaulting Swift, was rehired at a new radio station within months of the resolution – a slap in the face to Swift, showing survivors that men could face due process, be proven guilty and still reap no consequences. The truth of the matter is, everyone was a feminist until it came to Taylor Swift. Swift does not get the credit she deserves for being such a large proponent of the #MeToo movement. She immediately took action against her assaulter, but never received the support of liberal media, who only now wants us to listen to her when it fits their narrative. Instead, Swift was incessantly lambasted for not attending the Women’s March. Despite her countless donations to survivors and endless philanthropy, Swift would never be welcomed into the world of the modern day feminist movement. For many women in this country, feminism is not just about wearing a Pussyhat and demanding free birth control. For many women, “women’s issues” include jobs, the economy, Veterans Affairs, national security, immigration and foreign policy. The ten-time Grammy winner is allowed to be a free thinker. She is entitled to exercise her First Amendment rights and voice her opinion. She is also allowed to keep her opinions to herself when she prefers, but I can guarantee you’ll never find her with female genitalia on her head, threatening to blow up the White House. Where were the feminists when Swift became the youngest artist, and then the first female artist, to ever win Album of the Year twice? Where were the feminists when she was scrutinized throughout her formative years for completely appropriate dating behavior? Where were the feminists when Swift was shamed for writing songs about her relationships? I must have missed that time Ed Sheeran or Drake or Justin Bieber was referred to as a crazy serial dater. The following night, Swift swept the American Music Awards, becoming the show’s most decorated female artist in history. The criticism is rich coming from Kirk, who has spent the last few months parading around Washington, D.C. with Kanye West. Trump Republicans seem to have forgotten that a celebrity now resides in the White House. After the president’s bizarre meeting with West in the Oval Office on Oct. 11, the “celebrities should stay out of politics” argument has been invalidated. Let’s be real, if President Obama had organized televised Oval Office meetings with the likes of John Legend and Chrissy Teigen, our heads would’ve exploded. For those on the right who don’t want to hear about politics from celebrities, I get it – but be consistent. Treating Kanye West like a messiah is the wrong move. After all, it’s not like Donald Trump won the presidency on the whims of the Hollywood elite anyway. I’m proud to say that neither Kanye West nor Taylor Swift, despite being two of the greatest artists of my generation, will ever impact my vote or sway my political direction. To the folks burning CDs and refusing to listen to Swift’s music because of her political beliefs, now is the time to get a grip. If we can’t separate art from politics and personal views, we will all be miserable. While I disagree with some of the ways Swift characterized Blackburn and Bredesen, I agree with the majority of her message. I believe it is her approach that emphasizes why she remains a wonderful role model for our youth. Taylor Swift has successfully pissed off both the right and the left, which is why I know she’s doing something correct. She has strayed from rampant, monolithic partisanship and showed the world it’s best to be authentic. She’s smart. She’s talented. She’s informed. Don’t ever mistake one’s silence for apathy.